Remove text information from a PDF? I printed a recent credit card statement straight to PDF and used PDFEdit to black out (highlight in black) the information I'd prefer not to share with the party I need to send this to. Now I can't seem to find a way to save the document so that the text isn't there, hiding under the black bars. I tried to flatten it, but that hasn't resolved the issue. I tried printing to PDF, but the text information is all preserved. I tried opening it in OOo Writer and I get an error. Is there a method available to me (in 10.04) to save the PDF as an image, functionally? I thought "flattening" would achieve that but I'm obviously missing something. 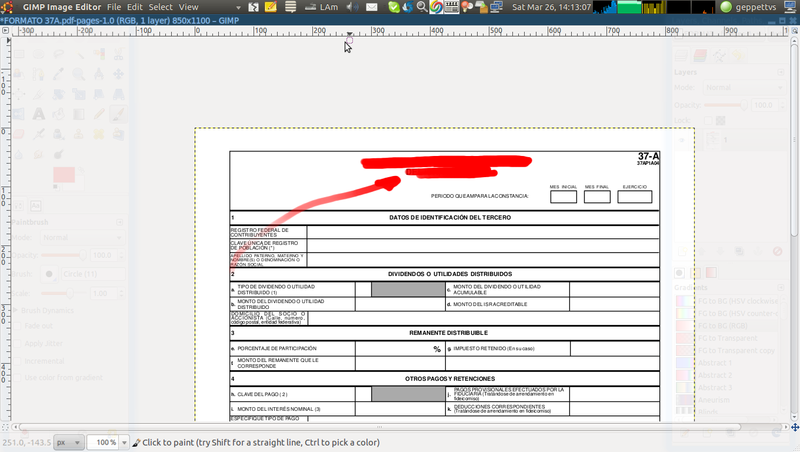 If you prefer to handle your pdf pages as layers and edit'em as images, then you can right click the PDF file and choose "Open with GIMP Image Editor", the "Import from PDF" dialog will show after opening gimp and will allow you to choose which pages you wish to edit with several options as shown in the next screenshot. pdftoppm might be useful for you. You should find it in synaptic, maybe in a package with a different name, together with other utilities. 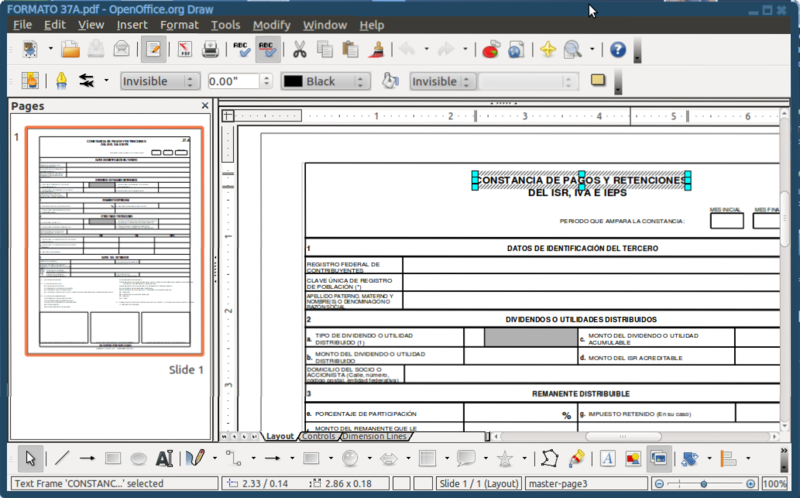 Elsewhere on the internets, someone pointed out that inkscape is also a good way to edit PDFs. Indeed using pdftk burst and Inkscape and then pdftk cat is infinitely more efficient than PDFedit. Not the answer you're looking for? Browse other questions tagged software-recommendation pdf or ask your own question. How to turn a pdf into a text searchable pdf?